“At 5pm the small team pulled into the driveway of a modest, tudor-style house in a quiet Palo Alto suburb. A thin figure came out of the doorway, big smile and faded blue jeans,” Fermoso reports. “Jobs got in the driver side and Thompson on the passenger side. Two others got in the back but Jobs ordered them to get out. ‘I don’t want anybody else in here,’ he said. In the next fifteen minutes, Thompson said he learned more about plastics than in his years in design school and auto industry combined as Jobs talked through his ideas on materials, perception and design intuition. If something is published on the Internet it must be true. Steve Jobs was interested in fine design, no matter what the product was. He paid attention to fine watches clear back in the days of Next as I recall, at the latest. He bought 100 Seiko’s (going by memory) and gave them away as gifts. Steve debated appliance design with his wife and kids and the same with furniture. He drove a lot of high end cars and certainly enjoyed his Mercedes 2 doors. When you work in designing products, as I have done for over 4 decades, every little innovation, advancement and new material is worth a look, no matter what the product is. This is really cool stuff. The interesting thing with cars is that so many are so poorly designed and overpriced — for what you get — that the industry is overripe for radical change. The other amazing thing is that the industry is ready to implode under its own weight of inefficiency. 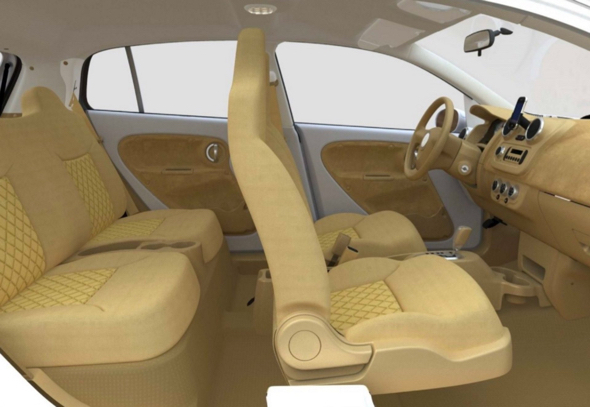 If modern materials alone can reduce car body weight by 40%, that is a good start. And then to also reduce cost by 70%, well that is insane. Do the same thing to the power train. And design in some cutting edge GPS, computer chips, and sensors and, well, you can revolutionize a dinosaur industry — introduce a better product at an insane-looking low price. It is gonna happen. It is already happening fast. To the winners, the spoils! Go Apple! The only problem is Apple isn’t known for insane-looking low prices. I like the products and the quality for the prices they charge for computers since the TCO is low, but are they going to be able to do a low-priced car or convince people that the TCO is low. Tesla is a startup and they couldn’t make a low-priced car initially (even the Model 3 isn’t THAT low). If Apple is making a car, that will be exciting to see nonetheless. computica, agree. But prices are relative. There is a lot of price “wiggle room” in the car industry, the same way there was in the watch industry, where I could pay 0 (ie, and happily go watch-less) or $8000 for a Rolex. At $400, an Apple Watch looks insanely cheap _for what it does_, at least to me. The same for mobile phones. For all it did, the iPhone looked “insanely cheap” for many people, compared with existing mobile phones of the day. I believe the same is possible in the car industry. I am not saying an Apple Car will be cheap, per se. But an Apple Car could be priced where it produces a lot of revenue to Apple, while representing a very good value (an “insanely low” price) relative to other cars on the market and w.r.t. what the Apple Car will do (and not do: eg, pollute) for their owners. It surprises me how little you really get for a $30,000 car today. And $50,000 doesn’t buy all that much, either. And a lot of people happily pay $75,000 to $125,000 for their wheels and/(or own several cars. So there is plenty of pricing wiggle room for an innovative Apple Car. It is possible for Apple to price the product seemingly high, while still offering insanely-low prices for what the car represents. We all know the smartphone before & after images. I do believe Tesla, along with everyone else, will end up looking like the phones in the “before” photo. If Apple builds a car, it will be different because they will have re-tough some of the basics we take for granted. Why do you think Ive teamed up with Newson? He wasn’t just a “watch guy”. An Apple car will be as different as the Apple Watch is from a Rolex. This fits in with what I’ve been saying all along. If Apple makes a car, it won’t be built out of pressed steel like most cars are, but will most likely use different materials and different manufacturing technology. Therefore there would be no advantage in partnering with an existing car manufacturer or even with a third part car assembly company such as Magna Steyr. Apple would need a unique car assembly plant which would need to be built from the ground up.